Stress is a normal response to events such as pressure at work or personal life. Stress can be a physical or an emotional reaction. It can upset your balance at work or in your personal life. Learn to recognize the signs and symptoms of stress and take steps to reduce its harmful effects. The signs and symptoms of stress overload can be almost anything & remember, everyone experiences stress differently. Listed below are some of the common warning signs and symptoms of stress. 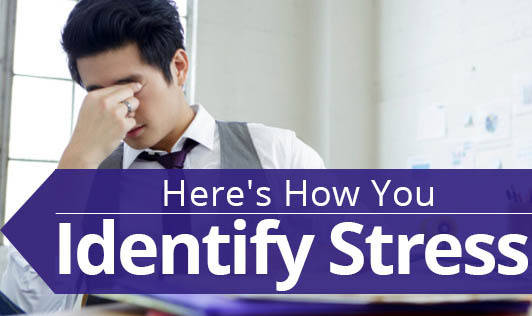 The more signs and symptoms you notice in yourself, the closer you may be to stress overload. Too much or too little sleep may also be due to stress. Physical weakness can make you sleep and over-thinking things may keep you up the whole night. If your eyelids start twitching more often, it might be because you are stressed. You can stop the twitching by closing your eyes for some time. Eye twitching may also be due to staring at a computer screen for a very long time. Take a break for 15 to 20 minutes by closing your eyes or looking at a bigger, calming landscape or picture. When you are stressed out, you are more likely to grind your teeth. It is done unconsciously, but when you do realize that you are grinding your teeth, stop it immediately and relax. You may not be able to connect skin rashes to stress, but studies say that stress can induce skin rashes that may show up on your stomach, back, arms, or face. Experts think it has something to do with your immune system being compromised. Forgetfulness for some can be general by nature, but research shows that non-stop stress can make you very forgetful. It can return to normal when your stress level reduces. You can also practice meditation to relax yourself. Stress in women during menstruation can be quite a bit of trouble. Researchers say that a stress-induced imbalance of hormones causes more pain during menstrual cycles. Exercise can soothe cramps and reduce stress by decreasing sympathetic nervous system activity. Too much stress can also lead to low confidence levels. Self confidence is directly related to stress. Losing self confidence will lead to problems like lack of concentration, lack of interest, and lack of importance. Stress can be reduced by engaging in a lot of activities like exercise, swimming, social work, counseling sessions with a psychologist, and attending personality development classes. Progressive relaxation, mindful meditation, yoga, and music and laughter therapy have also proven to be helpful.